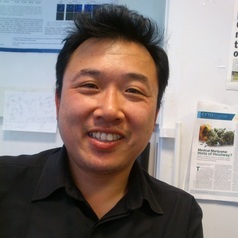 Dr Wai Liu in the Infection and Immunity Research Centre. His work focuses on developing novel approaches against cancer. These involve modifications to drug regimens as a way of enhancing the overall activity of chemotherapy. Current projects include investigating the immune-modifying effects of chemotherapy; cannabinoids and their potential anti-cancer properties; the IMiDs and artemisinins as anti-cancer agents.